To celebrate UN Day and think of ways to work towards achieving the UN Sustainable Development Goals, your fourth grader engaged in many activities all through the week. This action-driven week cumulated in UN DAY and, as a class, we read The Rise of the Plate PioneerZ comic book, and students worked in groups. As a family, please read the book and discuss the important message that leads to collectively ending extreme poverty, tackling climate change, and fighting inequalities, paving the way for a better and more sustainable future for all by 2030. Have a discussion on a definition of a Plate Pioneer and which Globals Goals would it help achieve. 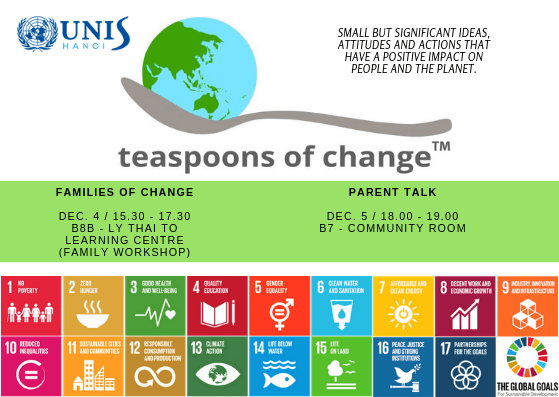 Hope to see you all on Tuesday or Wednesday at the Teaspoons of Change workshops. 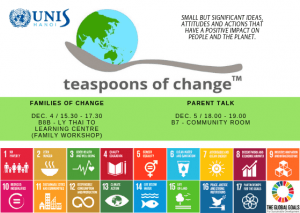 Please visit Teaspoons of Change website to ‘get your feet wet’. 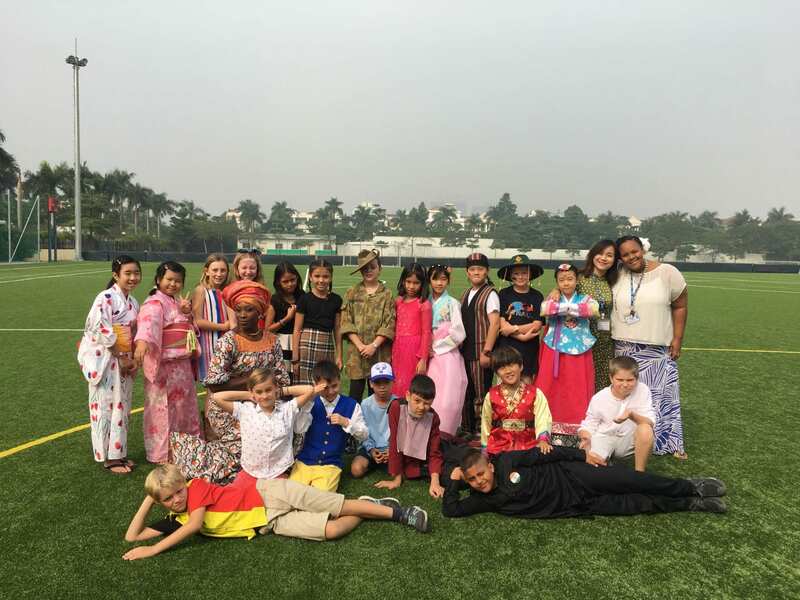 Thank you for your support and contribution in making today’s UN Day lunch great!